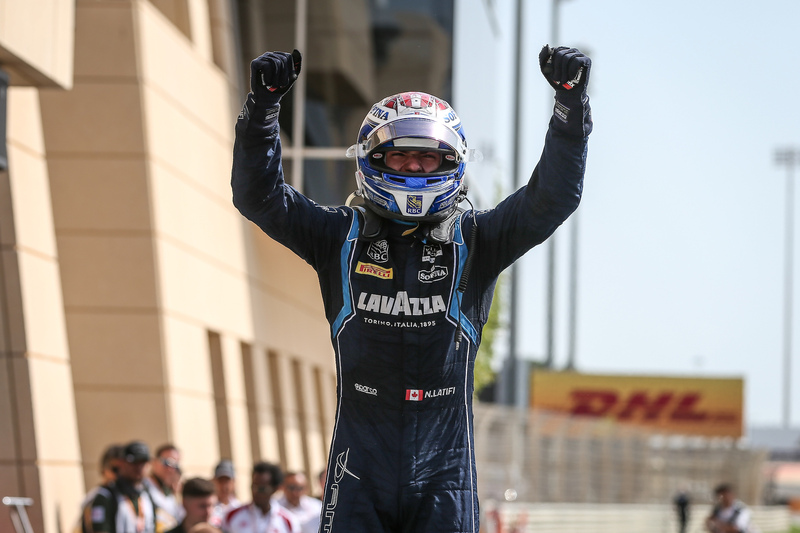 DAMS enjoyed an incredible start to the 2019 FIA Formula 2 Championship in Bahrain, winning the Feature Race with Nicholas Latifi, as he and team-mate Sergio Sette Camara scored podium finishes in both races. Starting from fourth on the grid for the Feature Race, Latifi’s super opening lap brought him up to second. On lap 9 of 32 he passed the leader under braking at the Turn 1 hairpin, and built a three-second advantage. Following an extended first stint, the Canadian made his mandatory pit stop on lap 16, switching from the harder prime to the quicker option tyre three laps later than his chasing rivals. Although a wheel gun issue initially brought him down to fourth, Latifi utilised this strategy to bring himself back into contention. The Williams Formula 1 reserve driver went on a charge, taking three places in as many laps to regain the lead. He rebuilt his advantage and extended it, crossing the finish line an almighty eight seconds ahead of his nearest competitor. A hectic start to the Feature Race dropped Sette Camara from eighth on the grid to 13th, the McLaren F1 junior got his head down and made up positions, reaching the podium places with five laps to go, finishing third. In the reverse grid Sprint Race, Sette Camara and Latifi drove a clean first lap to rise from their respective sixth and eighth place grid spots to be second and third. Amid differing strategies in which some teams elected to take a tyre change, the drivers held on to a double podium finish, crossing the line second and third giving DAMS the lead in the teams’ championship. The second round of the 2019 FIA Formula 2 Championship will take place in Baku, Azerbaijan on April 26-28.